We’re The Ember Experts You’ve Been Looking For. We’ll admit it, we’re Ember.js junkies. The fact that our Ember experts collaborate directly with members of the Ember Core Team may have contributed to our addiction – but we’re not alone. 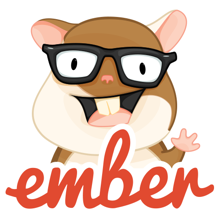 Ember is being embraced by the developer community faster than any other JS framework. Dedicated Teams: We provide the team. You provide the management. Ember Team Lead: Add an Ember expert to your development team.